Black Friday, the biggest shopping event of the year, is coming up. According to finder.com, the sales are expected to reach $90.14 billion which is up $30.57 billion from the last year total spend and better than ever. 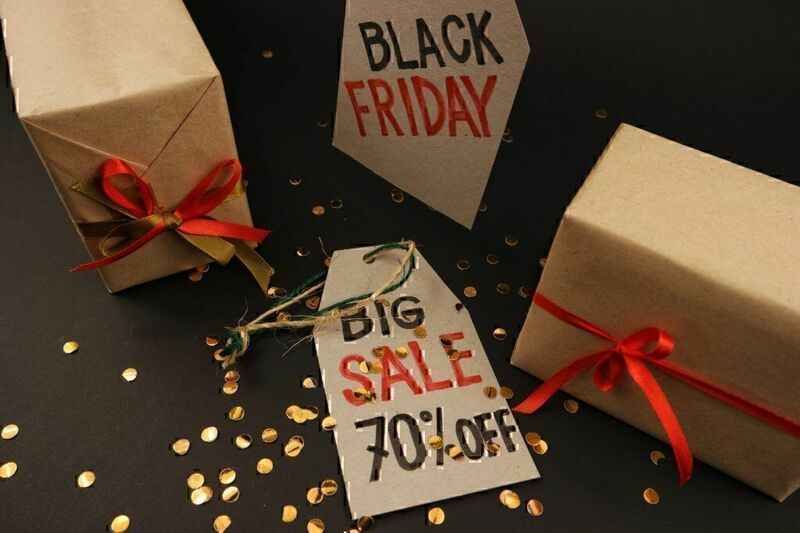 Being unofficial holiday retail, Black Friday is a perfect chance to grab a bargain, but it also opens up golden opportunities for scam artists and cybercriminals who target discount-hungry shoppers. Some of them intrude on your privacy and collect personal information. Others do their best to steal your money out of the pocket offering fake Black Friday deals. Below we gathered common Black Friday scams and some valuable guidance for you to shop safely this holiday season. Don’t let cybercriminals and scam artists take advantage of you while looking for incredible Black Friday sales and deals. One of the methods scammers use to trick you out of your money and/or your personal information is through email. The whole point of waiting for Black Friday is to get a great deal on the stuff you love and need, right? Scammers know that and use several tactics to grab your attention. For example, they may email you fake coupons. If you have received an email that claims to include heavily discounted coupons, always be cautious. Even better, it is strongly advised not to open it at all, especially if you have not signed up to receive Black Friday email alerts from the specific retailer. It is not by accident that such emails usually end up in your spam/junk folder. 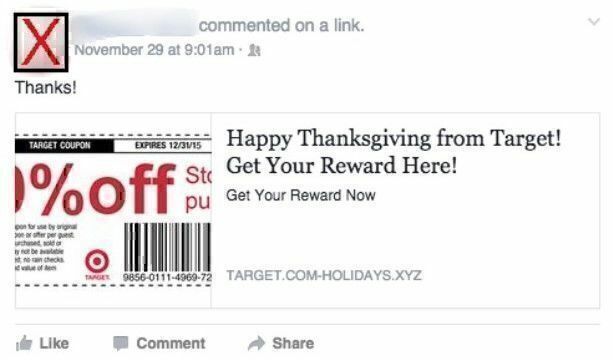 You may find fake coupons in your inbox, on social media, or third-party sites which list online Black Friday deals. 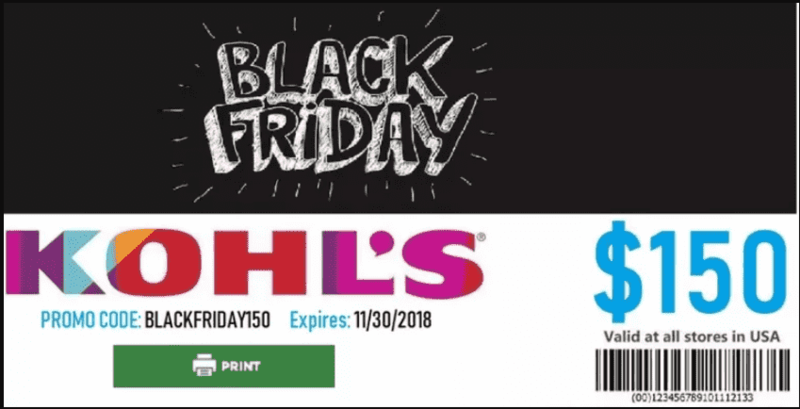 This scam says that Kohl’s department stores are giving out free $150 coupons for Black Friday shopping. The retailer confirmed that the coupon is not affiliated with Kohl’s. A user who responds to this fake offer is required to take part in a survey and provide personal information and sometimes credit card details. Finally, they must sign up to purchase a number of goods or subscriptions in order to claim their free coupon. Fake coupons are common Black Friday scams as they are difficult to spot, especially when they create a sense of urgency with promotions like “the offer expires in 2 days”. This might look like it is the real thing coming from Target but if you watch closely you will notice an odd XYZ URL that is definitely not associated with Target company. 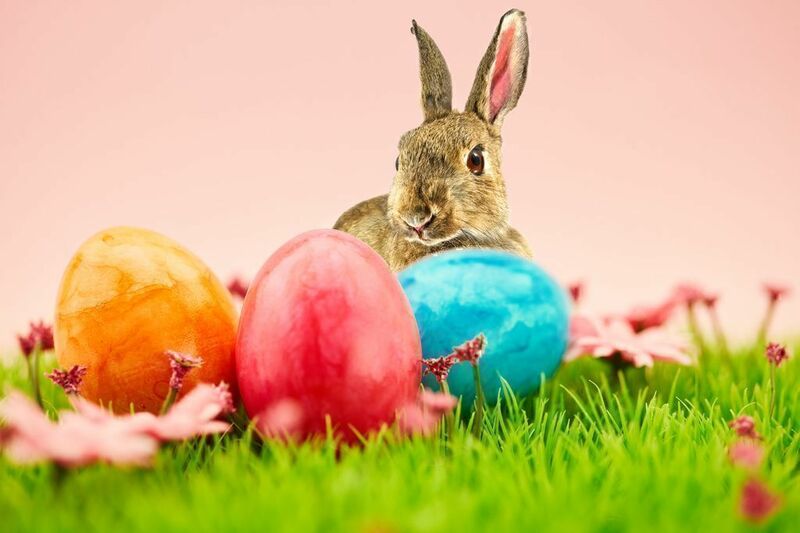 It should also be noted that malware can also be downloaded automatically through images embedded in the email. That is why it is important to have up-to-date antivirus software. Also, take preventive measures, which include changing your email setting so that your computer/mobile device does not download images automatically. If you do open such an email, avoid clicking on any of the links it contains no matter how much you would like to get an iPhone at 1/3 of its retail price. Finally, if you accidentally click on a link, never enter personal information, such as credit card details. Instead, close the browser window. This is another popular Black Friday scam, where the scammer tries to convince you that a package cannot be delivered (email could seem to be sent by from UPS, FedEx or USPS) or that you need to verify a tracking number. There are also instances where consumers were asked to download a shipping label or rearrange delivery by clicking on a link. This should easily raise red flags if you have not made any purchases yet and are not expecting anything shipped to you. If you are expecting a package, though, know that shipping companies do not email customers for undeliverable packages. 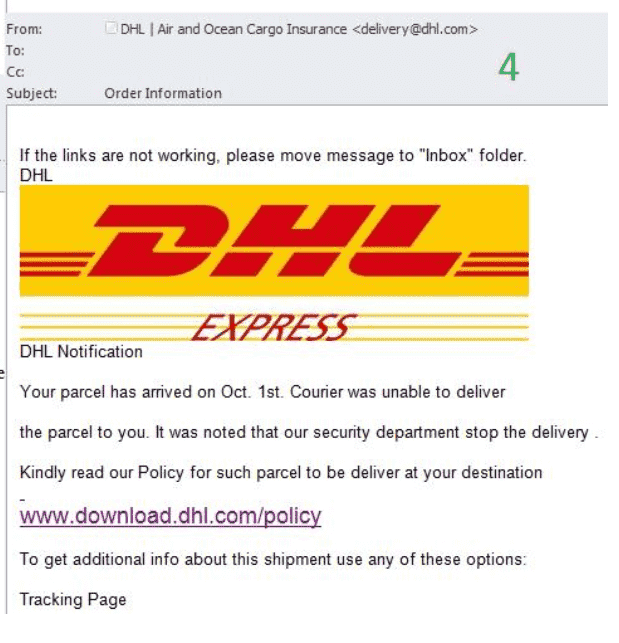 This malicious e-mail is sent by scammers that claim to come from DHL, an international delivery service company. Fraudsters often use well-known carriers because it is much easier to attract people’s attention with the use of popular names. The e-mail informs about problems with delivery. A receiver is asked to follow a link in order the company can send his or her parcel. A warning of delivery problems sent by a logistic company doesn’t prompt any suspicion, especially if an e-mail contains some details of the situation. But the logo of the company is false in the email. It takes one-third of the message. If a user clicks the stated link, they will be redirected to a phishing website to fill in fields with personal information. Unsuspecting shoppers can also download malicious software programs via such links. Malicious software is designed to steal sensitive data and distribute spam. Many of these emails may also appear to be coming from Amazon and they look like they are genuinely from them. If you click on a link in that email, you will be directed to a false website that looks very similar to Amazon site, where you will probably be asked to give your password and account information. Note that Amazon will never ask for personal details, such as bank account details and a password through email. So, if in doubt, better check with the courier delivery services company you are expecting a package from or open a new window in your browser and log into your Amazon account. Real messages from Amazon will appear there. The holiday shopping season calls us to spend quite a lot of money on presents. 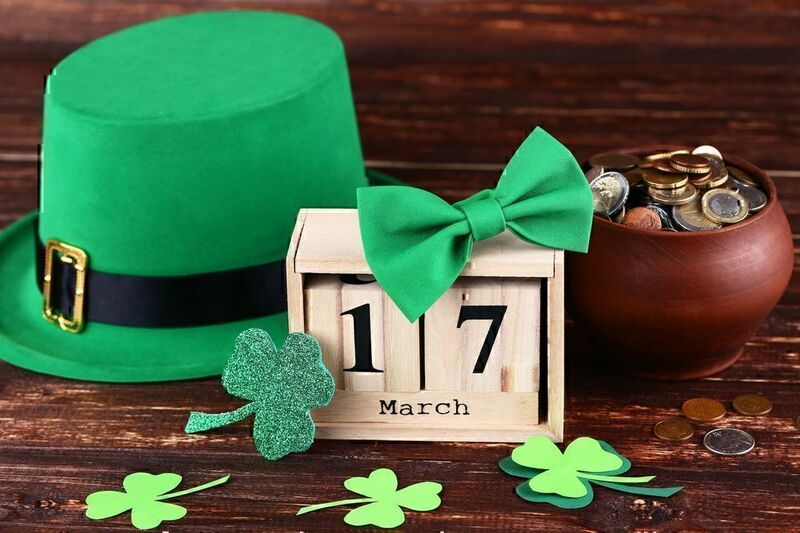 With many households already on a tight budget, the money available might not be enough to cover all your plans and scammers are fully aware of that. So, they may send you an email that says you are eligible for a refund. It could look like it is from a popular online destination (i.e. Amazon), a chain store or a hotel. All the scammers usually want you to do is to click on the link included in the email, so that they spill malware all over your mobile device or computer. To determine whether this email is a fraud or not - unless you have indeed returned a product; otherwise, it is surely a scam - look at the subject line. 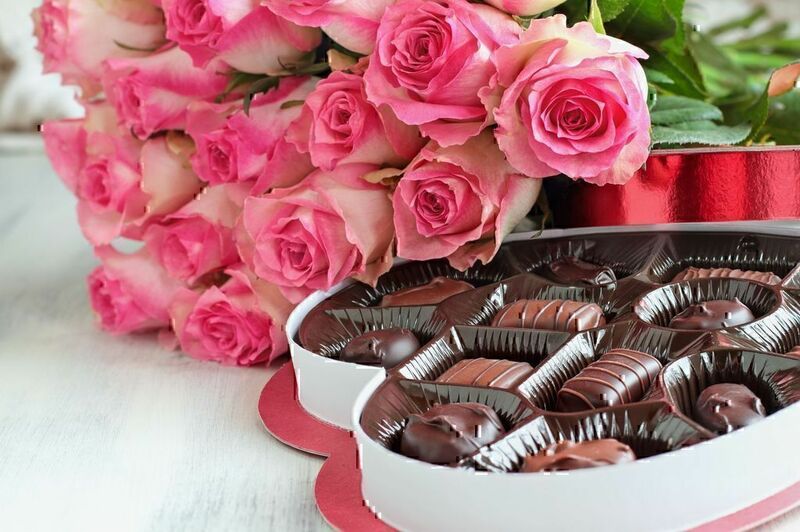 It should contain specific details of the product or your order. Instead of reading something along the lines of "Wrong Transaction" or "Eligible for Refund", it should be something like "Your X order of Y product is eligible for a partial refund". That being said, though, legitimate companies will try to contact you through a more reliable method to inform you that you are eligible for a refund. 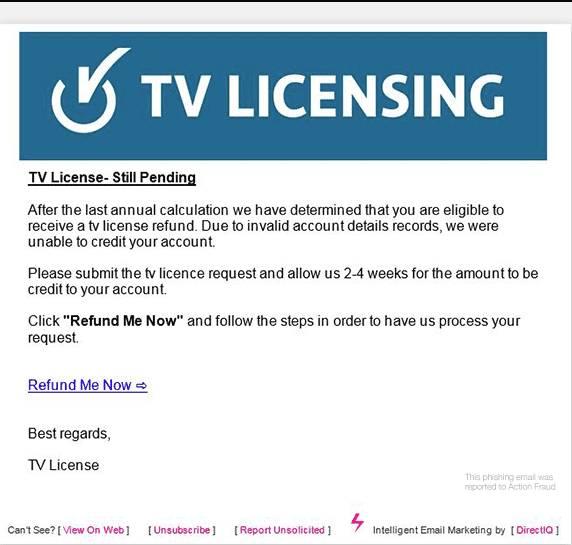 This is a fake TV licensing email claiming to offer a refund. It informs a user that a refund cannot be issued because of invalid account details. It is necessary to click “refund me now”. People who follow the link are redirected to a fake website designed to collect personal information and credit card details. This is a common Black Friday scam. Again, you may receive text messages with coupons and special discounts for you. As with email, just ignore them. Chances are there is nothing but frustration there. 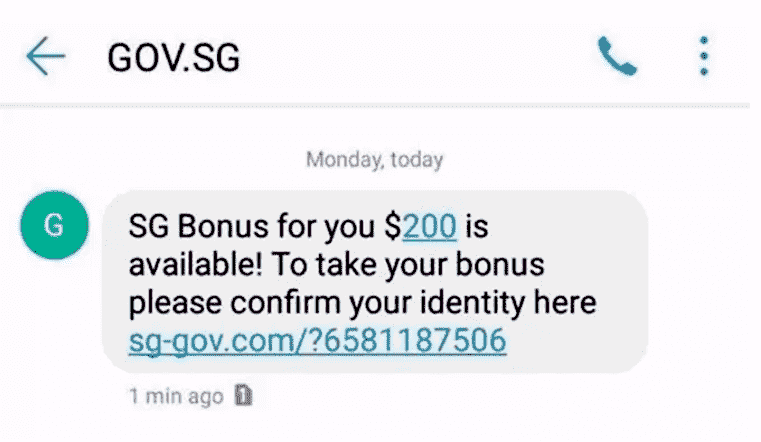 This is not a legitimate text message notification on SG Bonus. This scam is used to collect personal information. A user who follows the link is asked to fill in the fields with personal data in order to confirm their identity and get their SG Bonus. One red flag here is that the stated web resource isn’t using the https web encryption. The other is the style of the message which doesn’t sound correct. Such SMS are fake, just delete them. Don't even bother considering a Black Friday deal that offers you iPads for $40 and new Samsung mobile phones for $50. Unrealistic prices (usually from online electronics stores and high-end designer clothes) are directly related to fraudulent activities. The companies offering such deals are fake online stores that have zero merchandise. Instead, they are opportunists trying to make fast money from unsuspecting consumers looking for good Black Friday offers. The purpose of such Black Friday scams is to get a hold of your credit card information. Then, the attacker will be free to undertake their own shopping spree with your money. A video below features another Black Friday scam. A woman decided to buy iPhone 6 for $100 on the truck. She saw a sign with “Black Friday Sales” note. But if Black Friday deals sound too good to be true, they probably are. She got potatoes instead of a desired iPhone 6. Bogus product scams usually occur through social media websites and online ads. For example, you may see a pair of Jimmy Choo boots advertised for 70% less than you can find anywhere else. 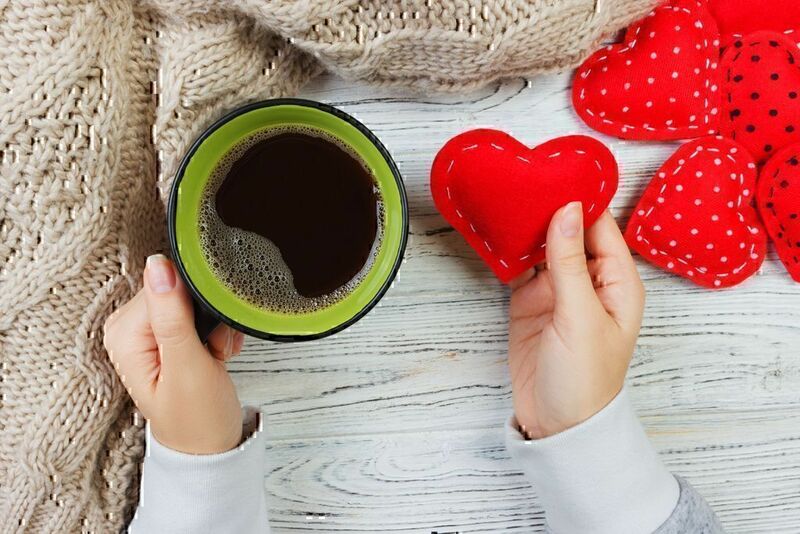 Purchasing that item will fill your heart with joy, knowing that you have found a great deal for that luxury, designer item. Then, either one of the two following things will happen (1) you never receive the boots or (2) you receive a really cheap knockoff. So, beware when you come across such ridiculous, almost laughable, offers. This particular type of Black Friday scam has been around for quite some time now. It is usually an attempt where the scam reaches a wide audience through Facebook likes and shares. Most of the times, you will see offers related to free Amazon gift cards, free MacBooks or heavy discounts on Black Friday items. The only thing you will be asked to do is to click on some links and share those links on Facebook. That way, the scam gets even more exposure and the hustler collects money from pay-per-clicks. You, on the other hand, will be left with an empty pocket because when the message has reached enough people, the post or page changes, even to a different product. Such "like-farming" tactics take place year round. It is a profitable way for scammers to collect or to sell information about the users that interact with a post or to use that information as a means to collect more details (i.e. credit card numbers). 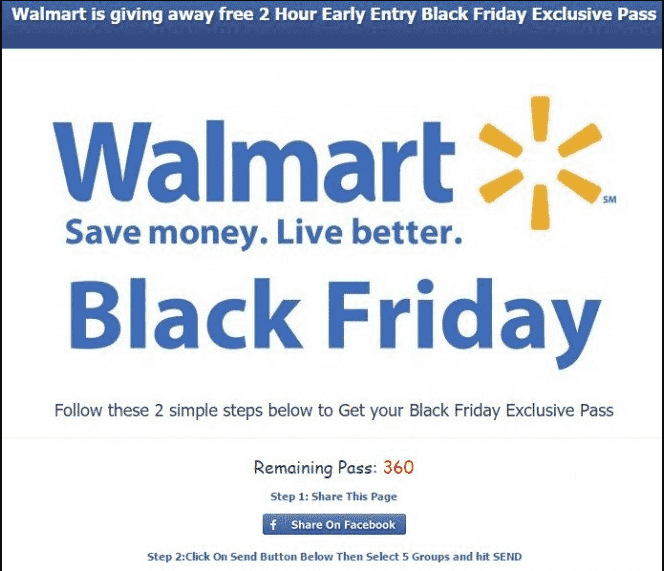 Scammers created an eye-catching post where Walmart is giving away Black Friday Exclusive Pass. Users are asked to share this post with their friends in order to spread the Black Friday scam more widely. Then they are presented with a survey that collects personal data. Users are also asked to purchase products. Based on the reports/reviews we have received at Pissed Consumer so far, merchants may also perform a Black Friday scam. For example, they bump up the price and then lower it again. It is a common sales technique used by a wide range of retailers across the world. They usually show a Recommended Retail Price (RRP) but advertise a sale price so that you think you are being offered a great discount. They always urge you to buy immediately because the bargain is on for a limited time only. After that, the item is sold at its RRP. Unfortunately, few are the times when these offers are real. And, if you do find an item on discount, there is no reason you should be rushed to make a purchase. After all, you can always find similar discounts available elsewhere during the year. All you need to do is set alerts for the specific products you are after. Or you may use price trackers to help you check whether a deal is as good as it seems. "Purchased an item from OJcommerce LLC through Walmart's website. This Black Friday purchase was then cancelled on Sunday. I could have purchased a similar product from a competitor at Black Friday prices, but now [...]I'm left holding the bag...". "I purchased a TV off of Walmart's website, with OJ Commerce being the seller.Two days later I received an email from Walmart saying that my order has been cancelled due to a pricing error. After reviewing other people's reviews, it wasn't just a TV...it was a ton of other types of merchandise too that all had "pricing errors"...yeah right. That's what you call a scam in order to get people's credit card numbers." "The site crashed [and] is still down 35 minutes after promo. [It] only crashed during time of inputting credit card number. You stay up all late for nothing, don't bother, they don't even say an apology - just that a site needs work too. They should have fixed this problem long before running the promo. It's a total scam and they are laughing all night long about it!" "...My family and I went to the Arundel Mills location located in Hanover, MD for a Black Friday deal in T-Mobile, so my parents and I went to purchase two Iphones knowing the trade in of our 2 iPhones with their new version. Was told that we are only going to pay 100$ per phone then that's it. Two months later I found out that the promotion was for a $200 discount.And so we are owing them $1453.90...". Employing security practices when shopping, not only during Black Friday or Christmastime but year round, is the key. Look for websites that have the HTTPS security encryption, where "S" stands for "Security". It means that all communication between user's browser and the HTTPS website is encrypted, which is an extra layer of protection for you. It goes without saying that you should never open any emails that come from a sender you do not know. And, if you do open such an email accidentally, do not click on any of the links they urge you to, in order to "resolve" an issue or get a discount or a refund. Needless to say, never ever enter your personal financial information or reply to such emails with personal information. Always think twice before you throw yourself into a deal that looks too good to be true. Chances are it is not true. So, if you have been emailed a coupon with an incredible discount or see an online add or receive a text message on your phone with an offer that is way too generous, it is best to double check both the retailer and the offer itself. If you have received an email that claims your product is undeliverable, don't lose yourself over this. Remain calm and check with the merchant about whether your delivery is indeed problematic. They should be able to provide you with some details. If not - and always if you are waiting for a purchased item to arrive - simply call the courier delivery services company and ask them if there is a problem with your package. Of course, if you are not expecting a package, nothing and nobody can convince you that your item cannot be delivered, right? So, don't fall for such text messages or emails. Report Black Friday attacks to the Federal Trade Commission. Choose the category that fits your case and follow the instructions provided to you. Also, if you have received a suspicious email or a text message, report it to the company it appears to be from and let them take the necessary action against the attacker(s). Finally, you have a great power in your hands that you can use to raise awareness. If you have fallen victim of a Black Friday scam, use the social media to spread the word. Pissed Consumer also provides you with a platform to share your bad experiences with companies and help others protect themselves against scammers, including Black Friday attacks, while also letting the scammer(s) know that you are on to them. Illegal and fraudulent activities are common during Black Friday, Cyber Monday and the festive season. Knowing what to expect and how to protect yourself against attempts to fool you or to steal your personal information is the key. Fortunately, after reading this guide, you will have plenty of weapons in your armory to fight such attempts.